Fox is riding pretty high right now, with its Sunday comedies, Batman-less Batman shows, and Terrence Howard-starring loose retellings of King Lear all doing pretty well. There’s no better time, then, to start pandering to fans of beloved genre shows so they’ll think that their beloved genre shows actually have a chance of coming back. 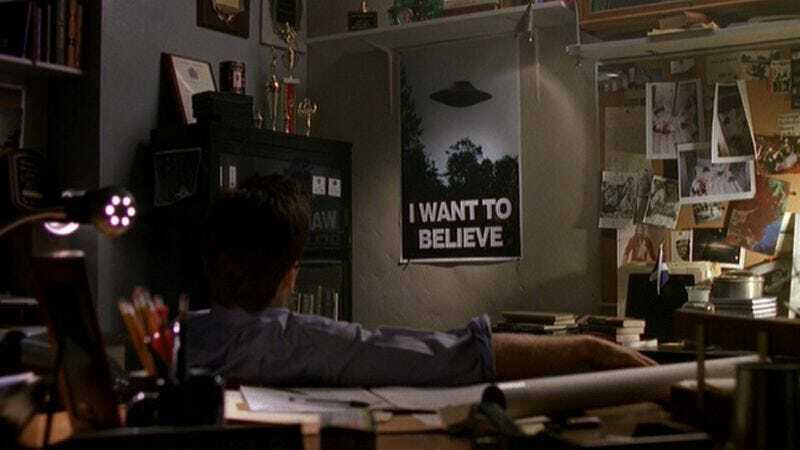 No, we’re not talking about Firefly or Fringe, we’re talking about the king of all beloved genre shows: The X-Files. Of course, this is all super early, and it doesn’t even sound like X-Files creator Chris Carter is directly involved yet. He has to be just as crucial to anything X-Files as Duchovny and Anderson are. Still though, some kind of new X-Files thing is very, very, verrrrrrry slowly moving forward at Fox, and that’s exciting. The truth is out there!